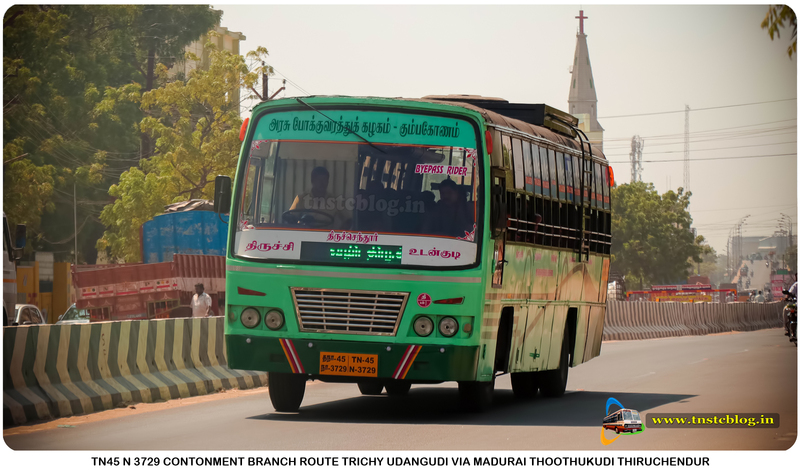 TNSTC Trichy Contonment Depot Operating Trichy Thiruchendur Super Deluxe recently its extended from Thiruchendur to Udangudi via Paramankurichi. A long demand from People and Merchants of udangudi has fulfilled a daytime service from Udangudi to Madurai Trichy. Timings | Trichy : 10:00 P.M. | Udangudi : 07:30 A.M.